“It’s a Paper Book! It’s an E-Book! It’s an App!” The CPS All-Access Package Covers All the Bases. 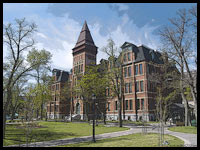 The Compendium of Pharmaceuticals and Specialties (CPS) is Canada’s source for drug information – containing more than 2000 product monographs for drugs(approved by Health Canada) , vaccines and natural health products, including 200 new products for the Canadian market and 151 monographs written by the editorial staff of CPhA. Clinical tools, product images and directories of sources for drug and health care information are also included, as well as a comprehensive cross-referenced index of generic and brand names. No surprises there. 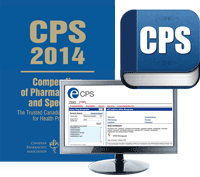 And the CPS has been available electronically for a while as well, but in February, the Canadian Pharmacists Association will be releasing the CPS in an all-inclusive bundle that matches the paper book with a one-year subscription to all it’s electronic variants – providing access to vital information regardless of location or preferred format. The CPS All Access Bundle is due for release in early February, and will be available through in-store or online through our Virtual Bookstore.